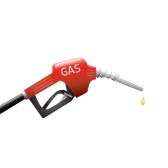 What would you do if every gas station in your area was limited to dispensing gasoline at only half a fluid ounce of fuel per minute? As ridiculous as that sounds, that's what the average charge time for a Nissan LEAF or Chevy Volt is when compared to a Toyota Prius. The math is simple when you consider the Prius may be getting 50 mpg or more (I got up to 66.6 mpg when I rented one while CO2 Fre was being repaired a couple weeks ago). Compare that to about 4.0 mi⁄kWh in the average LEAF or Volt during Winter when our batteries are straining to keep their capacity. When you consider LEAF and Volt both fuel at about 3.3 kW it's clear that 4.0 mi⁄kWh×3.3 kW is 13.3 miles per hour of charging. Now, if that same 50 mpg Prius was fueling at a rate of 13.3 miles per hour, or 0.222 miles per minute, with each 50 miles representing one gallon of fuel, then 50 miles would take 50 mi&div;0.222 mi per minute or 225 minutes (3¾ hours) to fill just a single gallon! Since there are 128 fluid ounces in an American Gallon, dividing 225 by 128 gives 1.758 minutes for each ounce or the reciprocal 0.5688 ounces per minute. (4.0 mi⁄kWh)×3.3 kW&div;(30 mpg) = 0.9387 oz per minute. And that's with a Level 2 charging station; at a standard, Level 1, US NEMA 5-15 wall outlet, 1.44 kW, the fueling rate diminishes to a mere 0.2458 oz per minute for the Prius or 0.4096 oz per minute for the 30 mpg Internal Combustion Engine vehicle. Don't wait for your fuel, multitask! If cars really took that long to fuel, no-one would question the EV Driver paradigm of park-and-fuel. No-one wants to spend an hour to go just 10 or so miles. Most cars sit for hours doing nothing, when they could be fueling. Consider instead of going out of your way to get that ¼oz of fuel for every minute you wait when you'd much rather simply go where you need to go and trickle in your fuel while you're off doing other things, wouldn't you? Many will read this and say that's why electric cars will never be practical. But you miss the point. Now you're imagining a small, fuel pump at every parking spot dribbling in fuel while you're at work, shopping, catching a movie, whatever. Of course such slow gasoline dispensers don't exist. But that's not true for an EV. Remember, there are over 12,000,000 NEMA 5-15 or 5-20 electric plugs throughout the United States—there're only about 30,000 gasoline stations by comparison. An electric car can trickle in fuel at any one of these outlets so park-and-fuel isn't just a pipe-dream, it's actually quite practical, and very inexpensive. After all, standard electrical outlets are ubiquitous, not so gasoline pumps. So really the only question is, why are so many places, like job sites and malls and movie houses so reluctant to allow EVs to charge given we can only fuel at less than a fluid ounce per minute equivalent and at only pennies per hour? Sadly, this is chiefly due to misinformation about what it cost to charge an EV and miscommunication that we EV drivers are quite willing to pay those costs for the convenience of not idling our EV without multitasking a charge. Allowing this basic, trickle charging access to an EV could mean hours saved trickling that same electricity, waiting, with nothing to do. Because that's not the way EVs are supposed to be driven. Park-and-fuel is all we ask, at whatever price. Please don't waste our time waiting for the pumping of ½ oz of fuel per minute. Thanks. interesting concept. now if ICE's did fuel that slowly, most would have a big tank of gasoline in the yard next to the heating oil tank where they would have it filled once a month for $1.50 a gallon. but if in a hurry they would run to the gas station and pay the $4 a gallon they pay now.